When it comes to prison camp movies, you don’t have much room for error. Maybe it’s that the subject matter is so heavy, maybe it’s because of such recent history, maybe it’s the inherent emotion of the actual events. But it’s a dangerous genre for some reason, a type of film that go can off of the dramatic deep end very easily and takes a talented crew to rein in. Angelina Jolie in only her second attempt at directing fails to perfectly deliver a story that speaks for itself, creating a movie that is good but far from great. This is the true story of Louis Zamperini, an epitome of mid-century America if ever there was one. The son of an immigrant Italian family, Louis found himself in trouble in his youth far too often. Angry, confused, misguided; his path was definitely headed in the wrong direction. His brother Pete challenged him to turn his life around, to work harder than anyone else, to take the success that had never been offered. 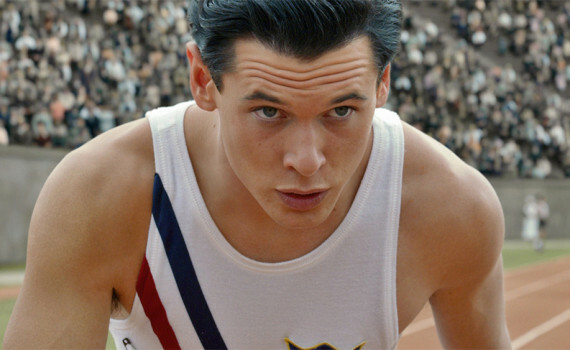 And so Louis became a sprinter, the best in the state, and then an Olympian. But a chance at a gold medal eluded him, as the start of WWII led to his enlisting in the armed services. Shot down while serving as a bombadier, Louis spent the rest of the war as a prisoner in a Japanese POW camp, surviving against all odds. True story, real drama, a historical figure, the World War, all that; it makes for a good movie. The emotion of the truth speaks for itself and there’s not too much anyone could do that would mess up the good that the film automatically has going for it. Zamperini is a fascinating man who actually died this year, allowing for his entire life to enfold and his story to be told with great context. 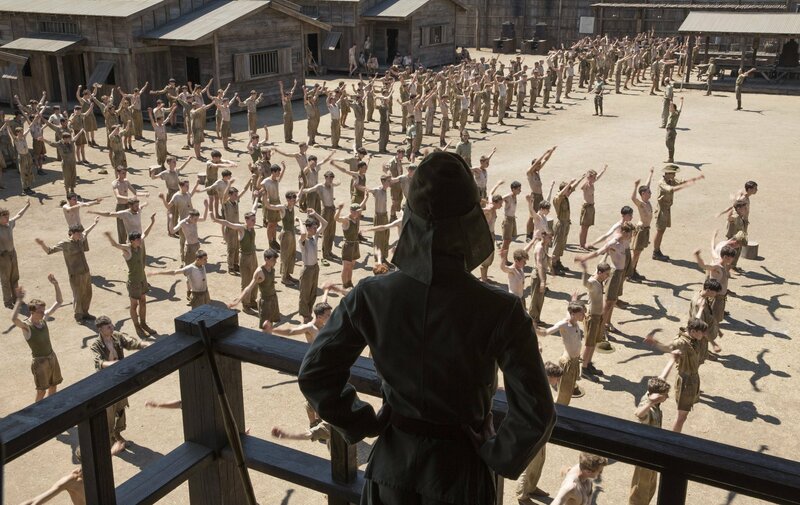 If you like the history of WWII, if you’re interested in prison camp stories, if you want to hear a tale of the American Dream coming true and going terribly wrong, this is the movie for you. Where things go poorly is in the small moments. Every time something important is about to happen, every time there is a chance for excitement, every war scene, ever fight for survival, every time Jolie is called upon to craft a pivotal moment, the scene falls flat on its face. The emotion of the story is well-woven throughout, but when called upon to shine no one seems to know what to do. I blame Jolie for this, as she’s both the one in control and the one who’s the amateur. I can’t say the story was butchered, not by any means, and O’Connell was excellent in his role. But this film can’t stand up to the greats of its genre, failing to impress beyond the true base that strives to hold it up.